On Sale Now! Free Shipping Included! Save 5% on the CHAUVET DJ Hurricane 1800 Flex Adjustable Fog Machine w/Timer Remote | Fog Machines by CHAUVET DJ at IGWT. MPN: H1800 Flex. Hurry! Limited time offer. Offer valid only while supplies last. 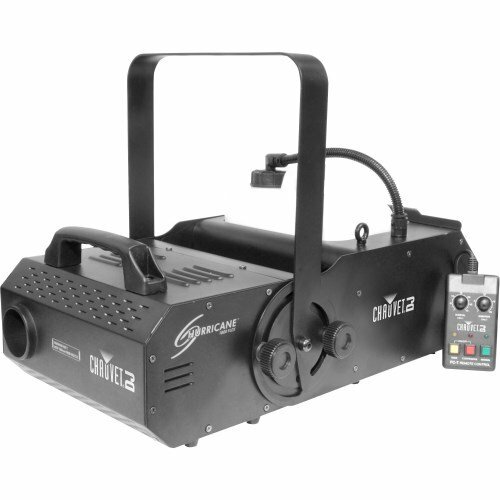 The H1800flex fogger is an 1800 watt fog machine with a 180 degree manual aim. The H1800flex fogger is an 1800 watt fog machine with a 180 degree manual aim. DMX512.